Video Transcript: Is EMF Damage as Bad as Smoking? Ty Bollinger: We all know that EMFs are harmful to our health but the magnitude of the damage is only just starting to be known. In this video, Dr. Mercola shares why our body’s delicate tissues are being decimated by exposure to EMF radiation. Charlene Bollinger: And, he also explains how this radiation is changing the health of humans at critical points of the age spectrum. This is vitally important in light of the rollout of 5G. 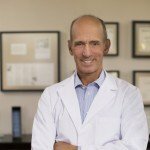 Dr. Joseph Mercola: We’re going to focus on cell phones. Class 2B carcinogen, World Health Organization—six years ago, right? Same as smoking. Same as smoking. But how do cell phones cause cancer? How do they cause cancer? The industry tells us they don’t, right? Yet Ted Kennedy died from glioblastoma; John McCain’s going to die from it; lots of people are dying from it. But the industry says no, because—hopefully you saw Del Bigtree’s brilliant presentation yesterday, of how pharma is controlling—most everyone here knows this, the control they have over federal regulatory industries. Well, I want to tell you, the telecommunications industry is like seven times bigger. You thought pharma was controlling the show? Telecommunications is controlling it on steroids. They’ve got the federal regulatory agencies wrapped around their fingers. Not only that, but just like pharma, when you go up against the grain and you say and tell the truth, you are immediately discredited, you are defunded, and telecommunications is so powerful, they will spin up 10, 20 other studies that they control the researchers and will debunk the truth. So, that’s what happens. And their current statement and belief, and the public health authorities and the physicians are telling you that there is no damage, that it only works by thermal effects. Have you heard that? Thermal effects. It heats just like a microwave. Well, fortunately, we know the answer to how cell phones cause cancer. It’s something called a voltage-gated calcium channel. Has anyone ever heard of that? That’s surprising. Does anyone read my newsletter? You’ve got to start reading it more carefully and don’t scan it, because I’ve interviewed Dr. Paul on this topic, and I’ve written about it quite extensively. In fact, this is the topic of my next book, called The EMF Extinction, which comes out next year. I’m just in the process of starting to writing it. I’ve been finishing the 100-page outline. And I’m confident that it’s an extinction, because these voltage-gated calcium channels, the highest density they have are in the brain tissue, in the heart, and the reproductive organs. And those are the tissues that get decimated by exposure to this EMF radiation. And what does that mean? That means we have on one end, half of the population coming down with Alzheimer’s. On the other end, half of the population coming down with autism. And in the middle, half of us being infertile or sterile. And if that continues to worsen, what is going to happen to this species? So anyway, Dr. Paul wrote a landmark paper in 2013, where he looked at two dozen calcium channel blocker studies, studies that looked at this, in how it impacted the in vitro cells, or the animal studies that they were done in, and the reactions to EMF. And what happened is it almost obliterated the response. In other words, it protected them, which caused him to understand that if these voltage-gated calcium channels are the way that cell phones and microwave radiation cause cancer, and other forms of EMF. Let me just go over it in a moment to help you understand this. These voltage-gated calcium channels are embedded in the cell membrane. Their purpose is to transfer calcium ions from outside the cell inside the cell. Calcium, intracellular calcium, is an incredibly important and powerful biological signaling molecule that we need. The problem is, when you stimulate it in high doses, it causes lots of problems, primarily massive, massive oxidative damage that causes free radicals, which then go on to decimate cell membranes, mitochondrial DNA, mitochondrial proteins. It just screws up your body on steroids. So, now we’re told that the effects are only thermal, but that only impacts the charged particles inside and out the cells. What it fails to incorporate are these voltage-gated calcium channels, which is what the EMF fields activate, they open up the calcium channels. And how much more sensitive do you think these channels are than the charged particles inside or out the cell, which actually do respond to thermal radiation? 10 times more? 100? 1,000? 100,000? A million? Well, Dr. Paul also has degrees in biophysics, I think from CalTech, or one of the prestigious universities. And he did the calculations and found out that these channels are seven million times more sensitive than the charged particles. Now what the heck does that mean? It’s a big number, right? It means that the safety factor standards, the safety standards established are off by a factor of seven million. Seven million is extraordinary, and you’re not going to hear about it because of this: the telecommunication lobby. Now they impact us, they impact animals – your pets. It’s a reason why pets die from cancer. And plants, even plants have these voltage-gated calcium channels. But here’s one I didn’t know until recently. Some of you are wiser than me and knew it. But they affect our microbiome. Our gut microbes communicate through similar mechanisms. And when you expose them to EMFs, you cause major problems. Now microwave EMFs. Your cell phone, you may not realize—well first, when did microwaves become invented? They were found out about during World War II for radar, okay? And in fact, the first radar range, right, was from radar—that was Amana, right after World War II. They were big and expensive, and they—that was a disaster for marketing terms, so they made it the microwave oven. The microwave oven is without a doubt, the single most important source of microwaves inside your house. It’s the most dangerous. So, remember the exercise with the flax, right? Where you identified that neighbor or relative you don’t like. So, promise me, when you go home, that you’re going to give that microwave oven in your house to that person. Okay? Promise me. You do not need it. Now I am not opposed to cooking food. But a microwave steam convection oven, not a microwave; a steam convection oven—by Cuisinart is a good one—on Amazon. You can put it in that hole that you leave, and you can easily and comfortably cook it, and you won’t be radiating yourself. These are far more dangerous than cell phones. So, none of that. 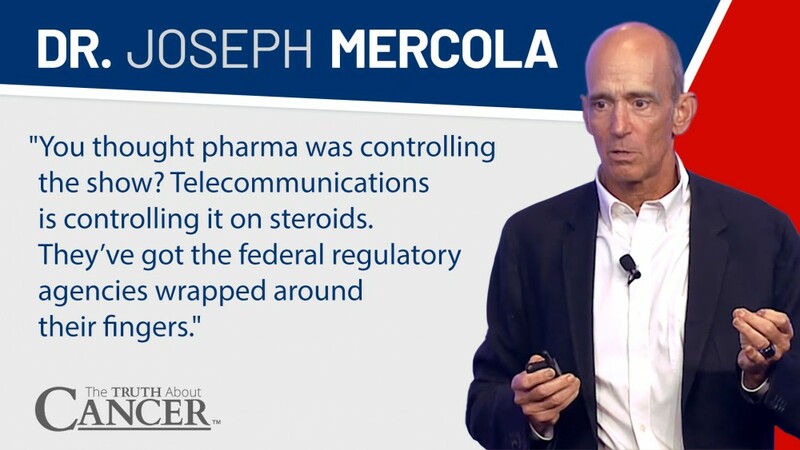 Ty Bollinger: That’s amazing information from our good friend, Dr. Joseph Mercola. We hope you learned a lot from this video! Charlene Bollinger: If you did, please share this on your social media and let your friends and family know about The Truth About Cancer. Thank you and God bless! Discover what you need to know about EMFs and how to protect yourself & your family from their harmful effects. Get ultimate protection from EMFs here. 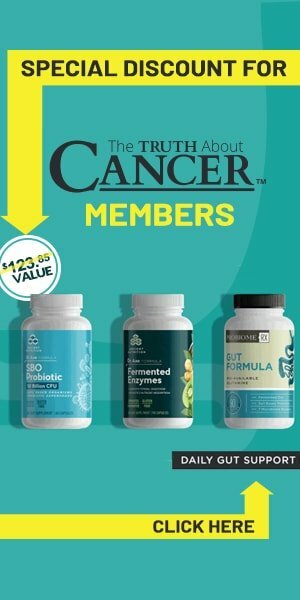 Dr. Mercola runs one of the largest natural health websites in the world, www.mercola.com. His passion is transforming the conventional medical paradigm in the U.S. with good nutrition, exercise, and clean living.This involves (1) Providing the most up-to-date natural health information and resources that will most benefit you. (2) Exposing corporate, government and mass media hype that diverts you away from what is truly best for your health.